The United States Government has filled November with days to honor and recognize the country’s history, military families, and service members. Our national holiday, Thanksgiving, ties together celebrations of gratitude and remembrance, but Military Family Month and Veterans Day begin the acknowledgment of military service as a whole; both current and past members are pointedly remembered with events and activities throughout the country. All three dates of observances have a strong connection to home, family, and service. 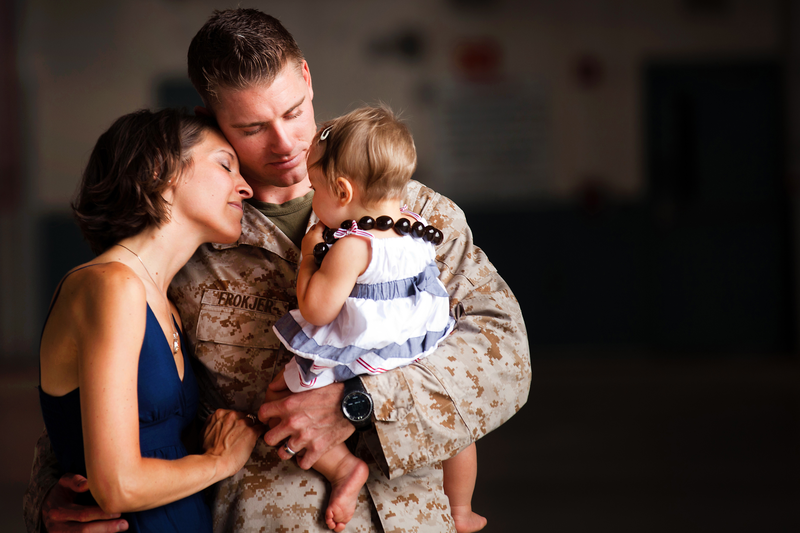 This leaves a feeling of thankfulness that both civilian and military families share. To acknowledge sacrifice of all kinds, we often look to find ways to bring comfort and well being to those who are far from home. Sharing Thanksgiving with a service member who cannot make it home for the holiday is a simple way to keep the spirit of gratitude thriving. This may mean opening your door to extra dinner guests or purposefully remembering and discussing family members and friends who are deployed or have lost their lives for military service. There are several programs that connect service members who would like to be adopted by families near their duty station, not only for Thanksgiving, but for Christmas, too. Start with the closest MWR or Families Services office for guidance. Consider inviting two or more members for a home cooked meal. They will feel more comfortable if they can relate to fellow service members with the spotlight not squarely on them. Holiday meal invitations don’t have to be formally arranged through an agency. A simple inquiry to your unit’s leadership could provide names for those who are home bound. A quick call to extend hospitality, especially to younger service members, provides the opportunity for a home cooked meal. Taking plates of holiday food to those staff members who have to remain on duty for the day is also much appreciated. If you were unable to make the arrangements for extra guests for Thanksgiving dinner, consider heading to a local USO Center to volunteer. Many centers provide holiday dinners or programs for military members and their family. Remember, service members fly through airports every day of the year. Your closest airport likely has a USO facility to donate time or supplies. Your presence means another volunteer who routinely commits their time can feel good about being home with their own family for the day. Not only does a service member get to relax and eat, a deserving volunteer gets some quality time off, too. In most circumstances, honoring veterans and their families is as simple as talking with them about their military life experiences, and a Thanksgiving meal is a perfect time to stop and embrace their sacrifice. Their stories are varied, and will often be detailed with remarks that emphasize other personnel’s heroic deeds or generous acts of care given to them in a time of need. Military families do not require official reminders that each day a service member is home and safe is one to give thanks, but Thanksgiving is an extra special day to joyfully embrace the history of the United States, as well as discuss how citizens can continue to keep the military and their families on their lists of what to be thankful for.